Amplifies the speaker's voice to aid others in hearing the speaker. 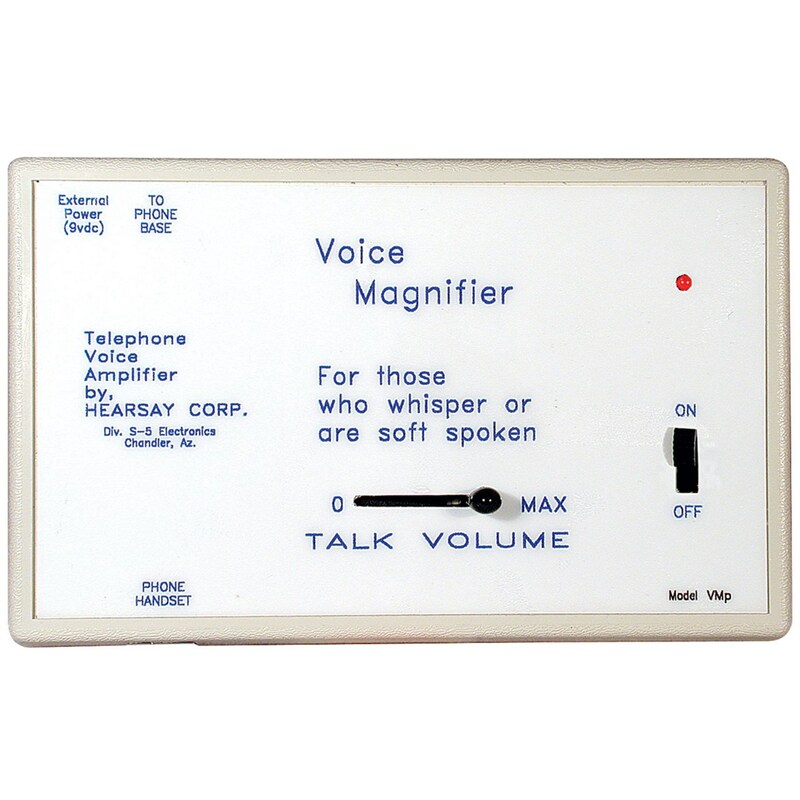 Used with a telephone, the HGA-VM Voice Magnifier can add from 0 db to 25 db of gain to the user's voice. It works well for those who can only whisper or have a very soft voice. 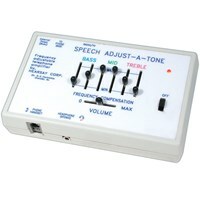 Use with a standard phone equipped with modular connectors between the receiver and phone base. Includes a Telephone Receiver Cord, a 9 Volt Battery and a 1 Year Repair or Replace Warranty.